In copious amounts. Preferably red, or my favorite Riesling. I don’t discriminate. As long as it doesn’t come in a box, that’s alright with me. Now, don’t get any ideas in your pretty little head. I am definitely a social drinker “on-occasion”. I’m not swilling the bottle every night (although lately, the thought has crossed my mind, lol). I like to indulge in a new bottle on the weekends. After 2-3 glasses I am pretty much shot anyway (cheap date, sue me). Nevertheless, I do like wine, and recently I have also converted hubby to wine as well. 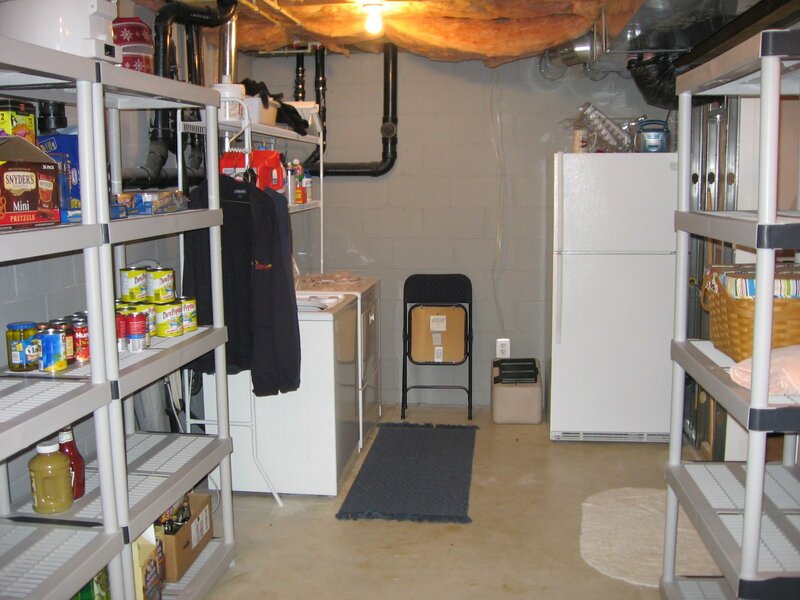 We just recently cleaned out the unfinished side of our basement, and for the first time since we moved here 7 years ago, we finally have everything in order. In fact, we did such a good job cleaning the unfinsihed half, I am now wishing we finished more of the good side. Anyhoo, the reason I mention this is our basement has served as our wine cellar. I had a couple assorted wine racks for the reds (because we mostly buy red), and a couple bottles of white that usually end up in the basement fridge to chill. My BIL (brother-in-law) D. bought a nice one we liked for $250 over the holidays. It’s tall, rather than boxy, and we liked it since it would fit nicely in the corner. He got his at Home Depot on-line, but he got it at a good time when it was on sale with free shipping. So we waited, and waited. A couple days ago, I decide, gosh darn it, I want one. I went to pricegrabber.com, typed in the product name and model. And, viola! one came up for $129, no sales tax, $9 shipping. So, I am thinking… could this price be real? Is it really the same, exact wine cellar? Is it used, I mean, what the heck…..?!? How could the price be that low? It’s a scam, right? We think, what the hell, it’s not like we are buying the Hope Diamond for crying out loud. What do we have to lose? We ordered it on Sunday, and Tuesday morning, UPS man brought me my wine cellar. Hubby was still unconvinced. We figured we’d open it and the door would be shattered, or there would be a foul stench upon opening the door. Or there would be a note inside that would exclaim “gotcha!” with a couple bricks. 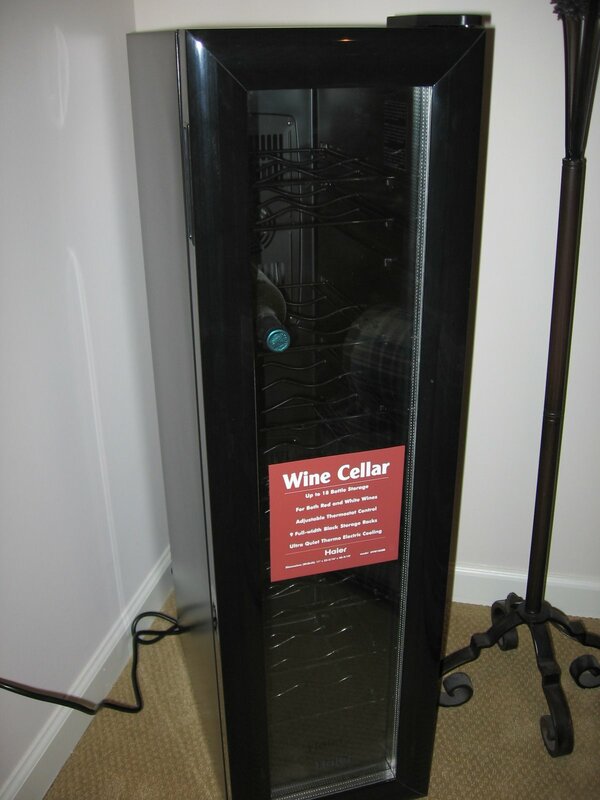 So, now, along with my other newest appliance that I love (my Keurig coffee maker), I now have a new love, the Haier Thermal Electric Wine Cellar. Oh, can I be your new best friend? I love, love wine. And I’m totally GREEN over your new wine cellar. Thanks for visiting my li’l blawwwg today. Nice to meet you! I am a huge fan myself. I never drank any when I was pregnant, but I would sit there and just smell my husband’d glass. People would look at me like I was crazy, but it smelled so good my mouth would water! I’m so weird!